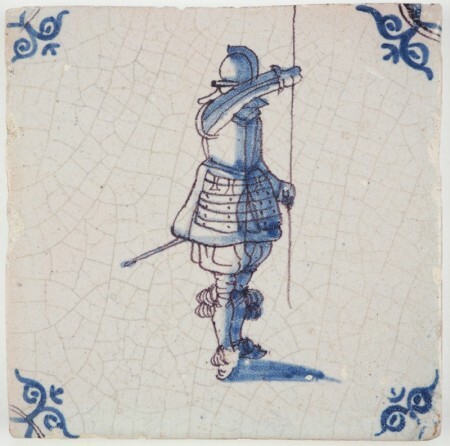 This mid 17th century tile depicts a pikeman in full armor. An interesting detail is that the figure has been painted in blue and manganese. 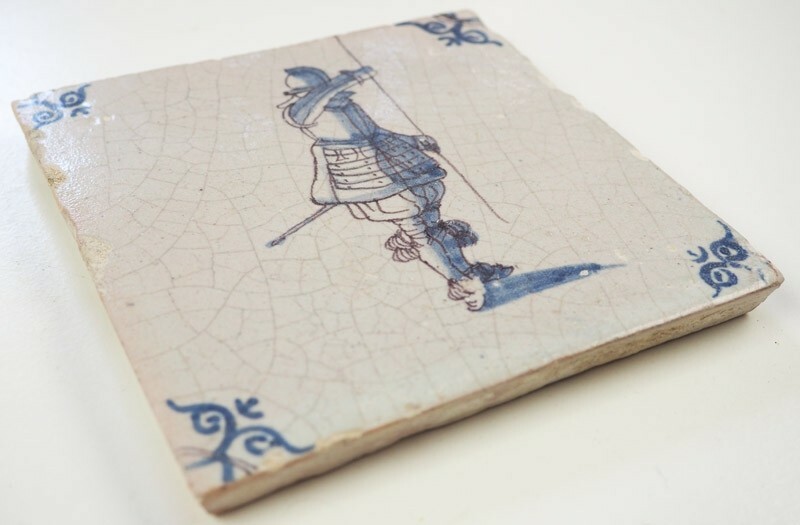 The tile is decorated with 'ox-head' corner motifs and is in a great condition. We offer free world wide shipping on collectibles, including insurance, customs services and international tracking. 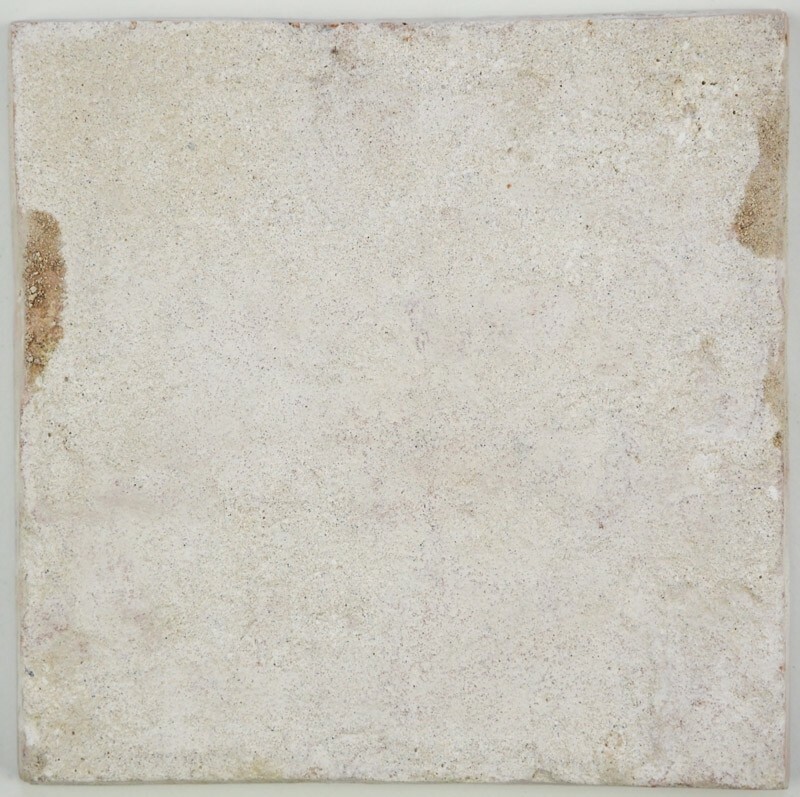 All our tiles are well packed and shipped within 2 working days. The base currency of this website is the EURO. Depending on your location, prices might already be displayed in your local currency. You can switch between them in the top left corner. The exchange rates are updated once every 24 hours. 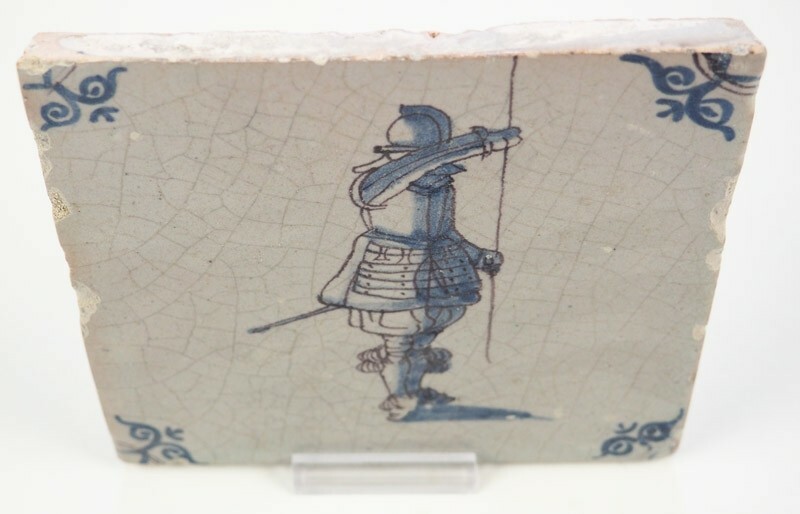 A tile as a present!